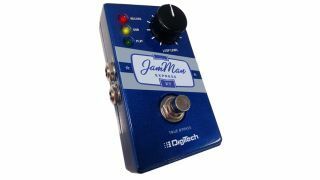 DigiTech's compact stereo looper and phrase sampler the JamMan Express XT has gone on general sale. The compact pedal features 10 minute of looping times, and automatically synchronizes with other JamMan products, which is handy if you're already a fan. Click here to visit DigiTech for more info. In the meantime, the JamMan Express XT is out now for around £90 - and you can watch a video demo below.